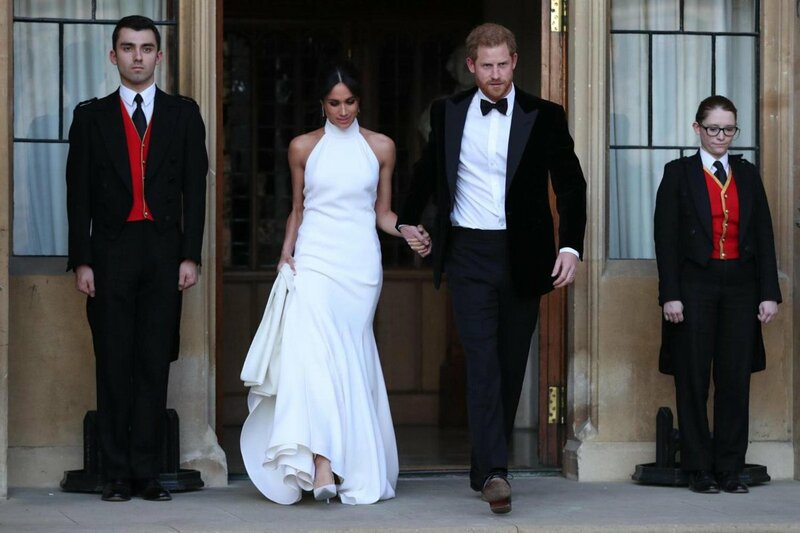 The gown Meghan Markle wore to her wedding reception is now on sale, and women who want to achieve the Duchess of Sussex look can now buy it… replicas of the now iconic dress, that is. The British design house just released a 23-piece capsule collection of lily-white replicas of the original gown worn by Markle which featured a high-neck and low-back design. It also features an onyx-black version. Designer Stella McCartney said she has anticipated that the dress would be sought-after by fans that is why she decided to design replicas of it. She shared that it was also her intention to make the Duchess’ style accessible to the loyal followers of the brand. But how “accessible” is the gown in terms of price? Named the “Made in Love” gowns, it is set at over $4,600. Each of the gowns is said to be made from a sustainable viscose material which the brand says is consistent with their “environmentally-friendly” ethos. The gowns are only available for purchase online via private appointment and those interested need to email [email protected] to ask for a preview. The gowns will grace the physical store for one week only at the label’s new Bond Street Store in London from June 13. It is not clear if they are available for international purchases and if they will ship to the U.S. and other countries. McCartney said Markle’s second gown during her wedding represented her. She added: “’It was a whiff of her spirit. I love that.” The designer also shared that it was a “real privilege” and a “compliment” to be chosen to design Markle’s gown for the reception at Frogmore Hall.